It was under Fritz Fend's leadership that the "Messerschmitt" Tg 500 Tiger came into existence. It was generally known as the Tiger, although he was not able to copyright this name.The car was largely similar to the earlier models but instead had four wheels. The engine was twin-cylinder unit of 493 cc engine that delivered 19.5 bhp at 5,000 rpm. It was fairly heavy for a bubble car at 390 kg (858 lb) but still had a top speed of 78 mph (125 kph) which was extremely fast when sitting low to the ground between the wheels. 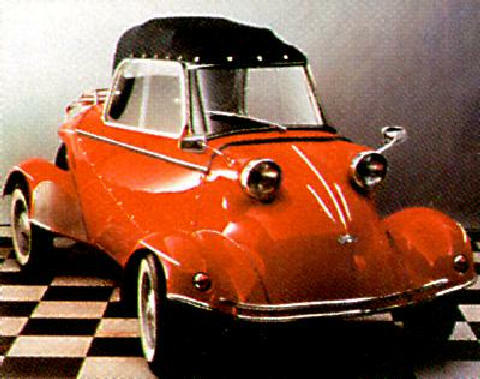 The Tiger was really aimed at young people but found it too expensive and it was launched just when the boom in midget cars had waned. 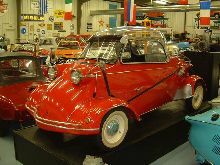 This car was reintroduced to the market as a replica in 1990 for 36,500 Deutschmarks, which means the owner can take to the road in an eye-catching vehicle for ten times the original price.